The following may be of use and interest to the reader. These sites are included to help facilitate more research and development of the tradition so that we may spend more time doing the Work. Astrolabe-a free astrological chart with a free interpretation summary. Azoth Art– quality robes, banners, cloaks etc. for the practitioner of the Western Mystery Tradition created by an Initiate. Lunarium-a site with calculators for the planetary hours, moon sign calendars, mercury retrograde and more. The Golden Dawn Lectures-the Golden Dawn lectures in digital format. The section under Adeptus Minor Rituals, is highly recommended when working through the RR et AC general orders material. The Alchemy Website-the most comprehensive website out there on Alchemy in all its aspects. Highly recommended. Rose-Croix Journal- an online scholarly journal focusing on an interdisciplinary approach to esotericism. Portae Lucis-dedicated to distributing the teachings of Jean Dubuis. Below you will find blogs that have been helpful along the path in one way or another. Ecosophia- Excellent writing, information, scholarship from John Michael Greer on a variety of topics related to magic, the occult and esoteric studies. Magic of the Ordinary– great comments and ideas on esotericism, the occult, magic, and mysticism from a Golden Dawn perspective and quite fun to read as well. Nick Farrel’s Magical Blog-an informative blog with a different approach to the Golden Dawn and quite entertaining as well. Theomagica-amazing historical resources in the e book section as well as ongoing research into certain streams of the tradition. Occult of Personality– amazing interviews and discussions with authors, experts and inmates in the fields of esotericism, mysticism, and the occult. The Wild Hunt-modern pagan news and commentary. Highly recommended if you are pagan of one type or another. The groups or outer schools listed are currently active and contributing to the Western Mystery Tradition. This list is no way complete or comprehensive. There are many others just as reputable and worth looking into. Fraternity of the Hidden Light– an Aquarian Age Mystery School with direct lineage to Paul Foster Case with more of an emphasis on the Hermetic Order of the Golden Dawn aspects of the tradition. Builders of the Adytum– a Western Mystery School which emphasizes the Hermetic Qabalah and some of the most thorough Tarot lessons available. Rosicrucian Order, A.M.O.R.C.- one of the largest western esoteric organizations. 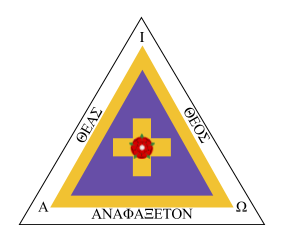 Confraternity of the Rose Cross-a similar heritage as A.M.O.R.C. Their online library is excellent and highly recommended. Traditional Martinist Order-a Martinist Order open to everyone regardless of religion. Excellent accessibility for group work, a correspondence course and lodge work. Temple of Witchcraft-a group co-founded by Christopher Penczak as a system of magical training, personal development, and a formal tradition of Witchcraft. Servants of Light- a Mystery School with an excellent correspondence course, workshops and lodge work in the lineage of Dione Fortune.